A R E A is proud to launch its first artist residency with Reciprocity Collaborative. Throughout 2018, performing artists will critically engage with each exhibition, activating the gallery space in an effort to make the invisible visible. In(tangible) Interactions (I/I) will focus specifically on the power of interpretation and shifting perspectives, reimagining artwork from each exhibition as scores to be played out in music and dance. A R E A guests will be invited into the creative process through events including rehearsals, lectures, workshops, and interactive performances. 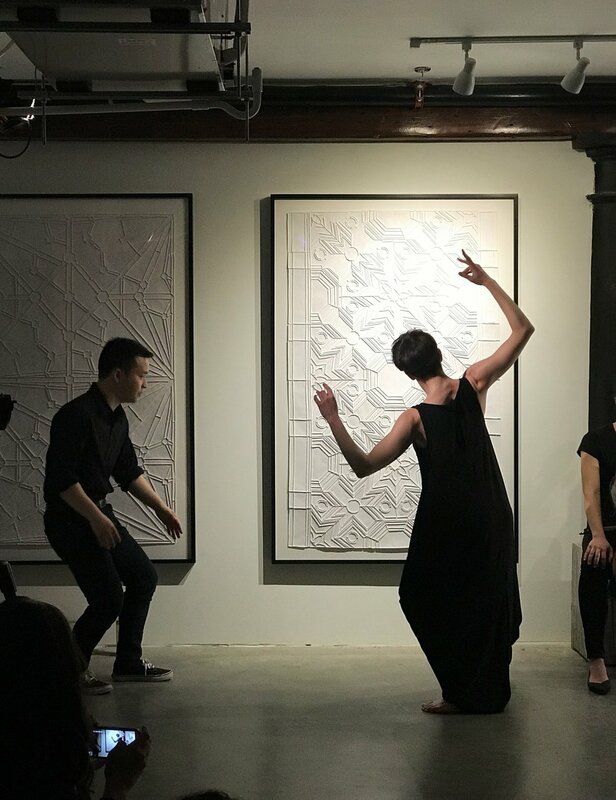 The Reciprocity Collaborative is committed to bringing together creative professionals through research, performance, and community engagement. From lecture-performances to process-based labs, we aim to challenge disciplinary boundaries of music, dance, and visual arts to create environments for multi-media negotiation, exceeding what individual artists could create on their own.